This door was made for an outhouse. The client wanted an exact copy in timber that would last a little longer than the previous door. I was quite pleased how it turned out and I learned a few things, which is always good. Not a bad match. 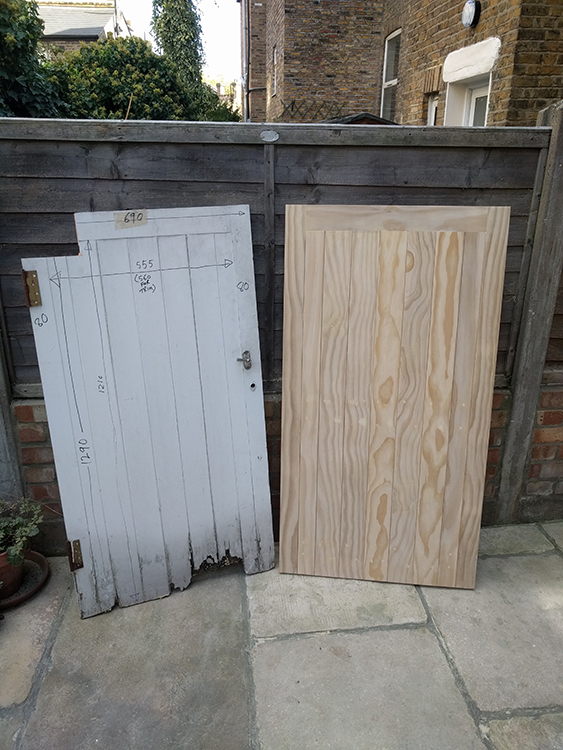 The door will shrug off water as the panelling hangs, but I did make the bottom cut off a few degrees, just in the hope of slowing any capillary action. I always treat parts of exterior jobs with Tetrion wood hardener too. 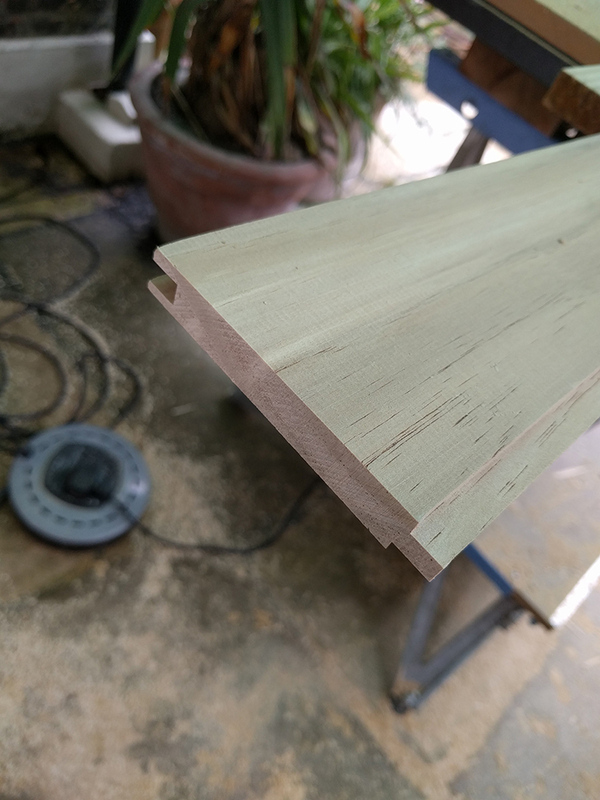 Before I started work on the copy of this door, I wanted to check how the upper corner joints went together, as the client specified an exact match. The ‘long and short’ shoulder joint is what’s used here, as the next shot shows a little better. 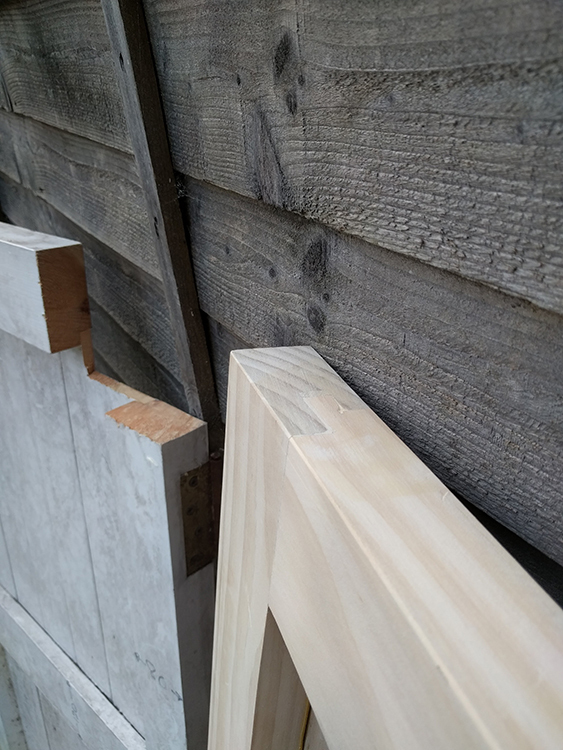 Part of the joint has broken off here, but essentially the face of the door that is rebated for panelling has a rebate that is run right through the joint in both stiles and rails. The joint has to accommodate this, so the shoulder one one side reaches further than the other. 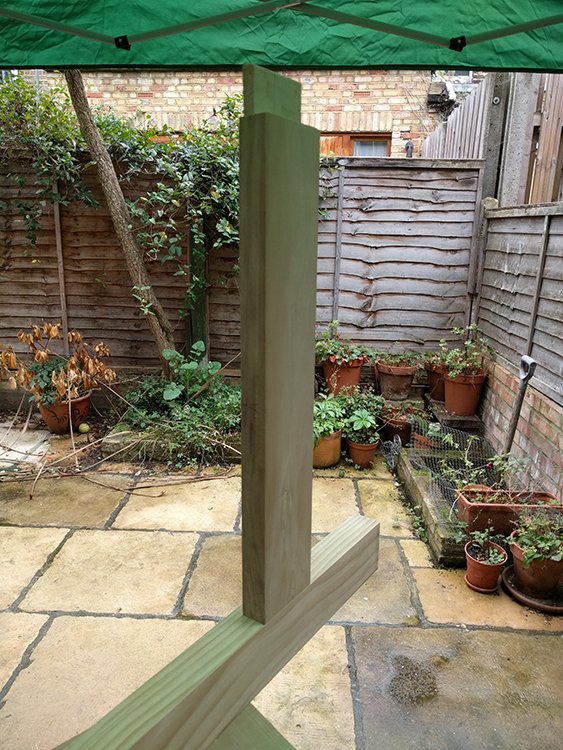 This picture is not a great illustration, as the chunk of wood behind is part of the rear profile of the stile, but you can see the stepped shoulders of the top rail. This is a better example! 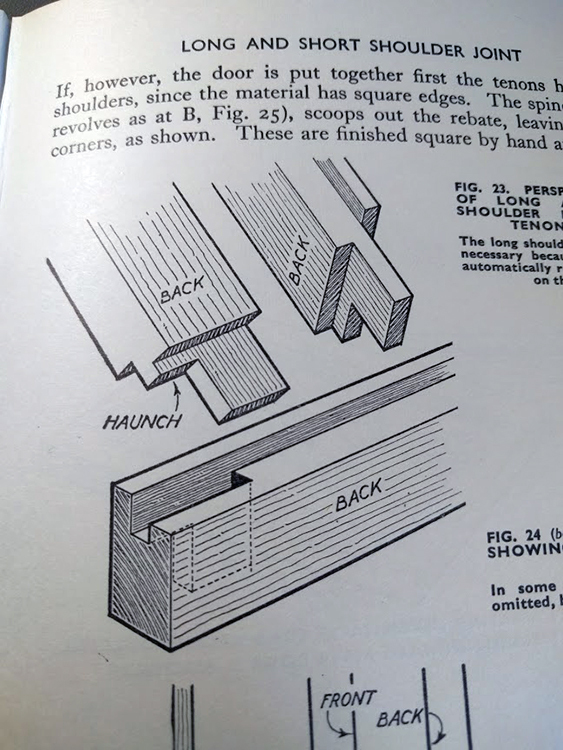 From Charles Hayward’s ‘Woodwork Joints’ book. My choice of wood for this job was Accoya. A very stable engineered wood, commonly now used in joinery applications, particularly exterior jobs. 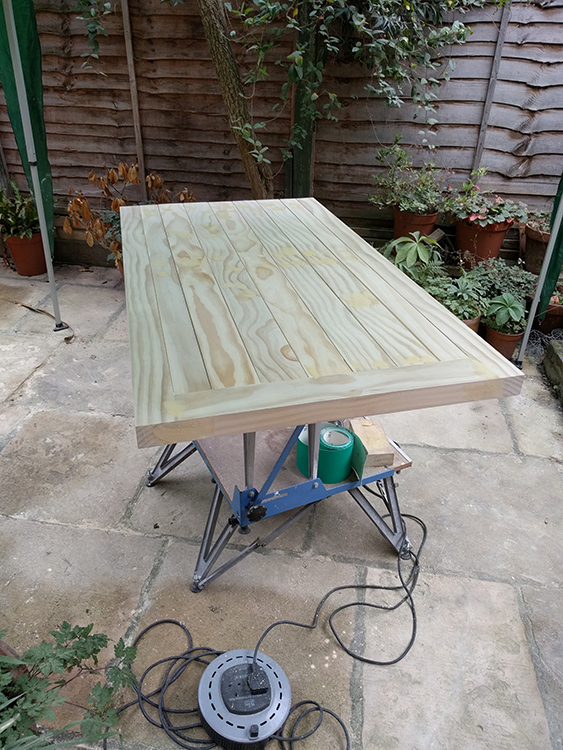 The timber should experience next to no shrinkage or movement and takes paint well. Setting out on a kitchen table. Sigh. This job came in while I was searching for a new workshop. I’ve since signed on the new space, but the door had to be made in the interim. Sometimes you just have to ‘make do’. Here’s I’m ganging up the two stiles and marking out for mortices. 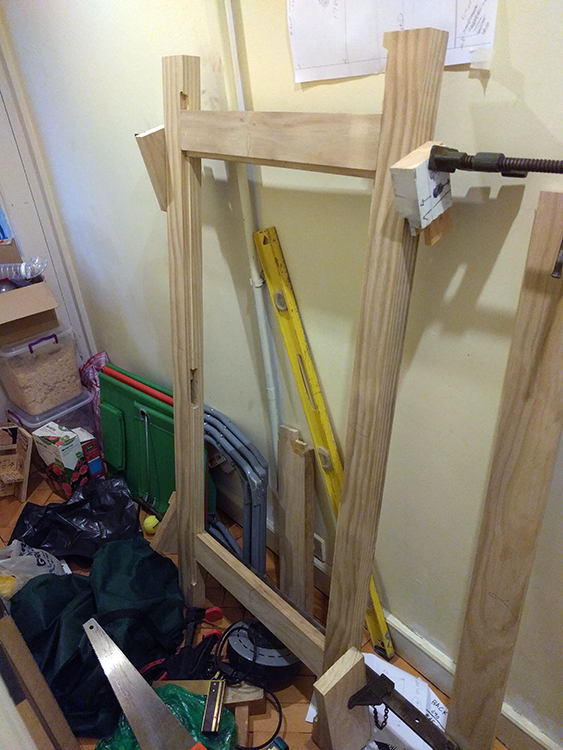 I already know the thickness of the panel material, as I’ve measured from the existing door. I treated myself to a Bridge City Tools square some years ago on eBay. It needed a bit of work to clean it up, but nice to have. 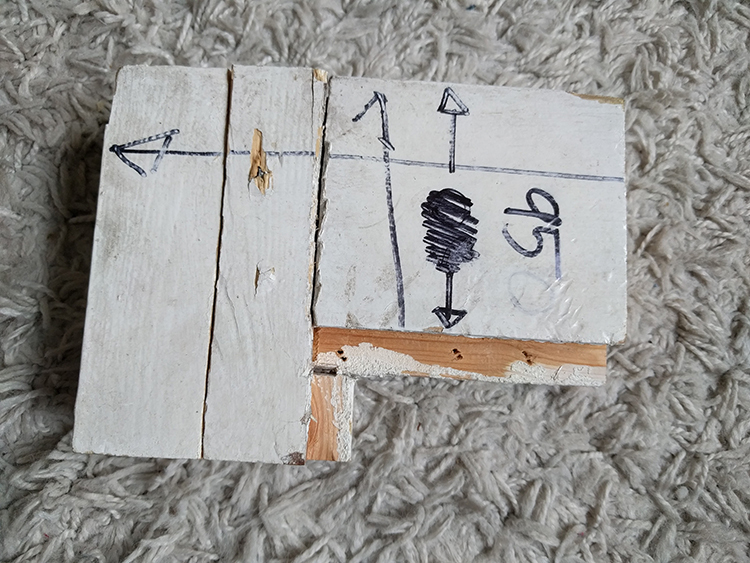 When you don’t have a workshop with a strong bench and a mortiser, you have to work out how you are going to cut deep mortises. 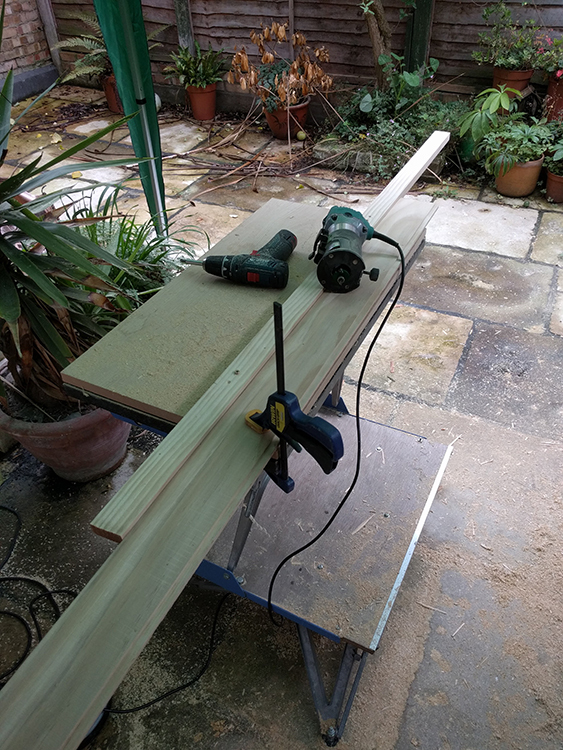 I wanted to avoid chopping out by hand, as I was restricted to a workbench in the garden. 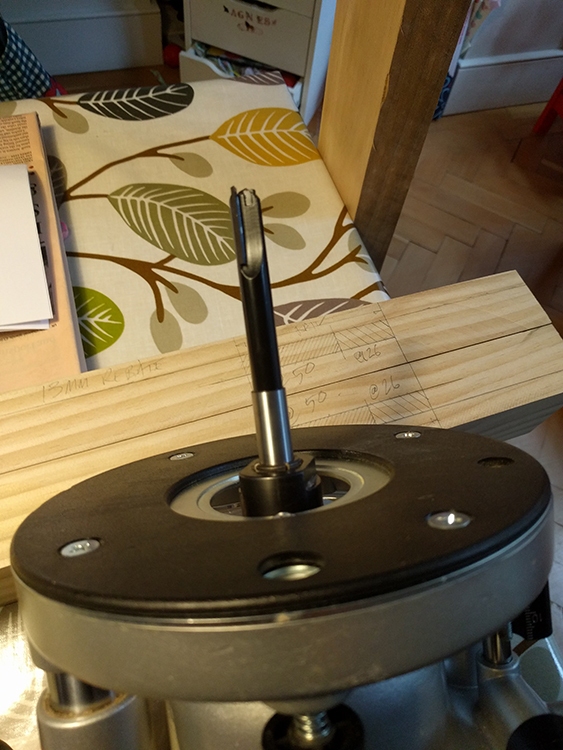 The deep pocket cutter from Wealdon Tools turned out to be a lifesaver. Plunging the mortises with a Triton TRA001 router and the deep pocket cutter produced a lovely result. I took a deep breath here as things started to look a bit more achievable in the time frame. 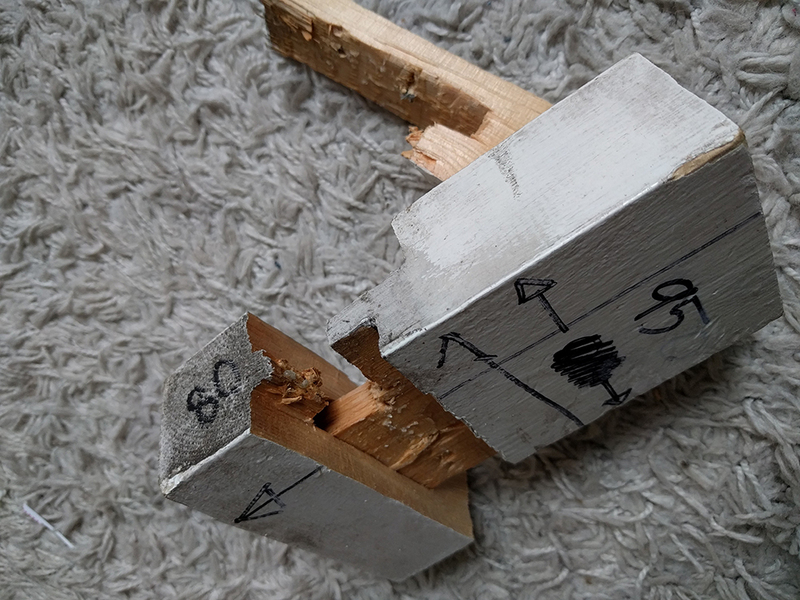 This joint is the lower rail in the stile, so the mortice is equal both sides. This rail allows to the panelling by being thinner and the panelling simply passes right over it. Not glued, just cramped up in the hallway so that I can check for square. Thankfully, it was. I got on with the panelling next. I had already taken the Accoya panelling down to 13mm on a thicknesser at a ‘day-rate’ workshop local to me. 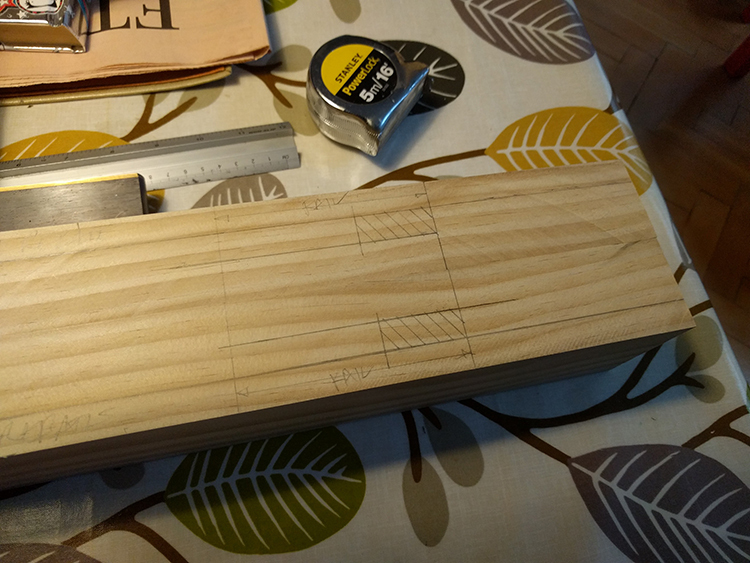 I dropped each piece into a simple jig which allowed me to make a tongue on one edge with my bargain Katsu router. (These small routers are one of the best bargains on the internet). Normally I would expect shiplapped boards on these doors, but the original had tongue and groove fitting. Hence I copied that and using Accoya, there should be little or no shrinkage hopefully. The stiles are made long, so in this picture you have to imagine them trimmed back to the top of the rail, but you can see that the rebate is run straight through on the stile and the rail. the panelling drops into the rebate and I will add a groove all around the inside of the rebate later. 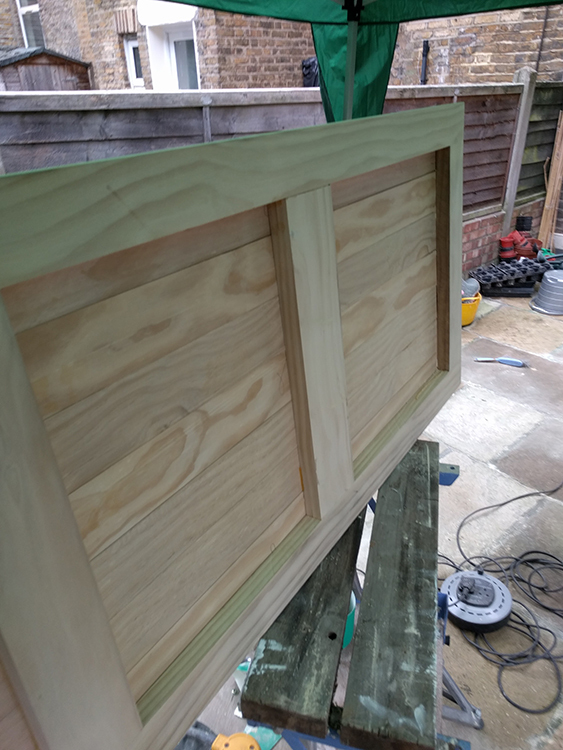 This will mean once I cut a tongue onto the tops of the panelling, all the panels can ‘lock’ into the groove for a snug and strong fit. The tongue and groove panelling. 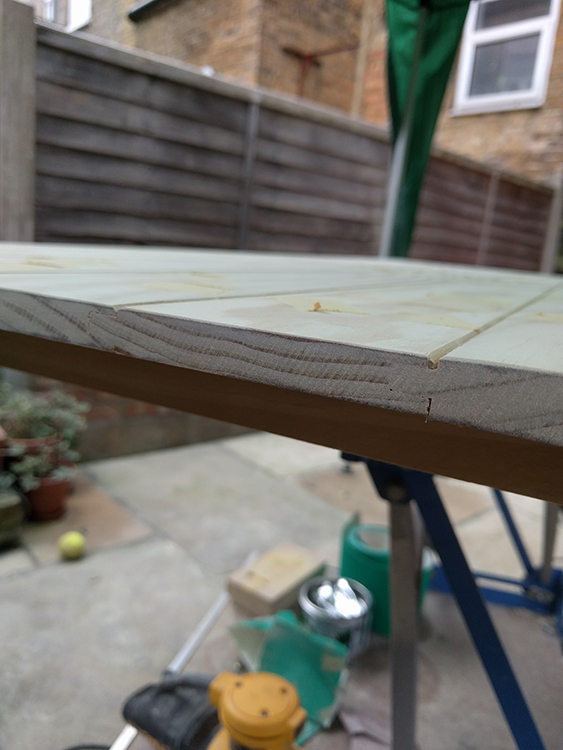 If this wasn’t Accoya, I would leave a 2mm expansion gap everywhere, but with engineered wood, I’m closing it right up. 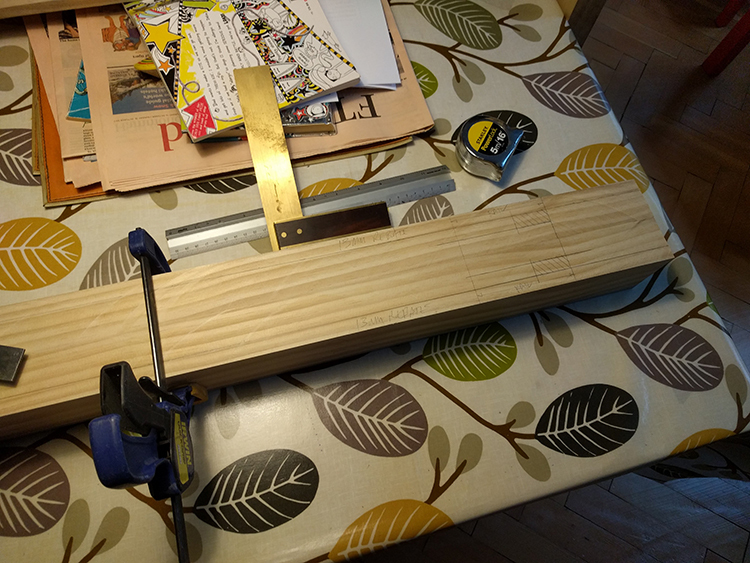 Everything locked into the grooves and skew nailed into the rails. 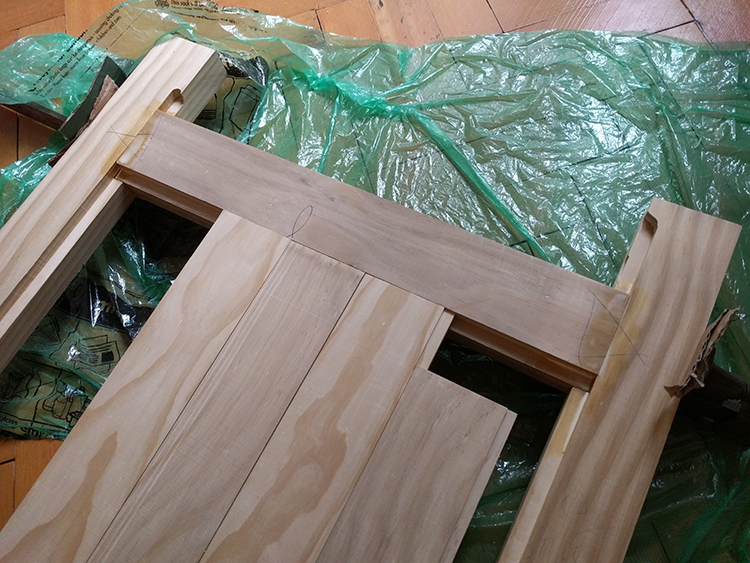 The outer strips of panelling have been cut so that they have tongues to go into stile grooves. Some minor filling here and there and I added a few front nails too, just for good measure. Only because this is going to be a painted job. The offset joint on the top corners. Mid and lower rails don’t need this, they are just finished thinner by the depth of the rebate so that the panelling goes over them. Good to see you have a new blog post up on the site. I’m very curious about Accoya- their website says it is acetylated timber but doesn’t specify what species. I would imagine that dense timber is very hard or maybe even impossible to treat in this way. The stuff you’ve used looks like “redwood” pine. Do they do other species? And how does the price compare with regular timber? 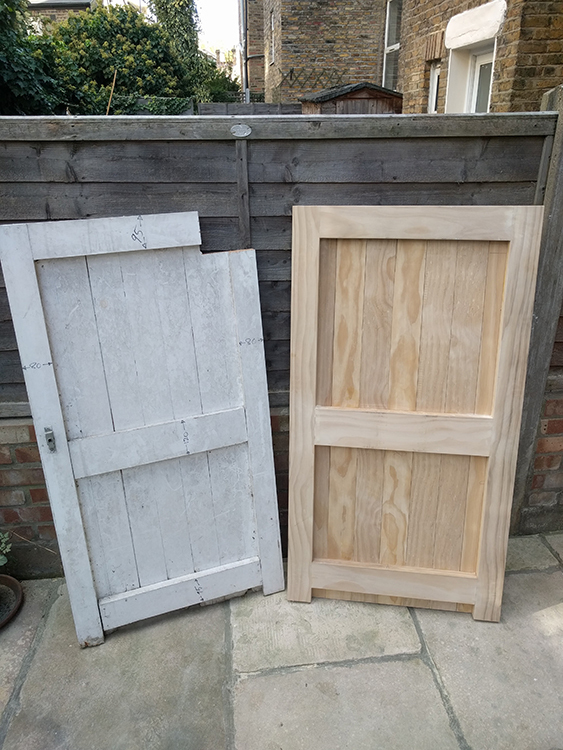 Hi Richard, I’m not sure how it is grown/treated, but the overall weight of the wood is quite light, which is great when you’re making big doors and items like that, because good ol’ mdf can get those hinges creaking. 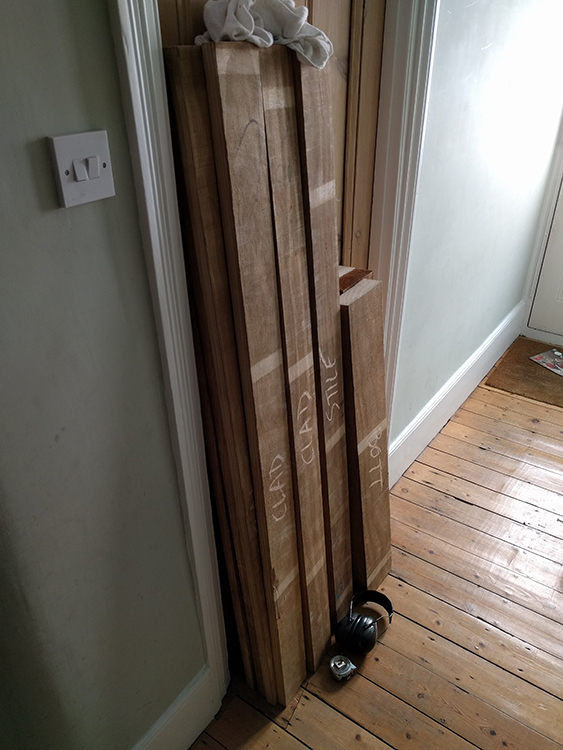 It seems quite a lot more resilient to knocks and dings than, say, Poplar and takes a moulding profile very well. Paint also seems to go on very nicely. It’s not cheap though. If you mess up and cut it wrong, it’s very annoying. Don’t ask me how I know that. I only visit that site occasionally as it’s generally about promoting their business but there are some interesting blog articles in among the more commercially oriented ones.